That's what I have too. Great. Brown rice takes a lot longer than 20 minutes... more like 40. I just want it to be not wet and smooshy when I use it to make rice/waterchestnut/chinese sausage/oyster dressing at Thanksgiving at Mom-in-law’s house! I got Basmati on my third try. Rince rice 45 sec. under running water. 1 cup rice, 1 cup water, 3 minutes on high, 15 min natural release. Just like restaurant rice. Pushing the “rice” button gives me 9 minutes on low pressure. 3 minutes on high pressure is much better. 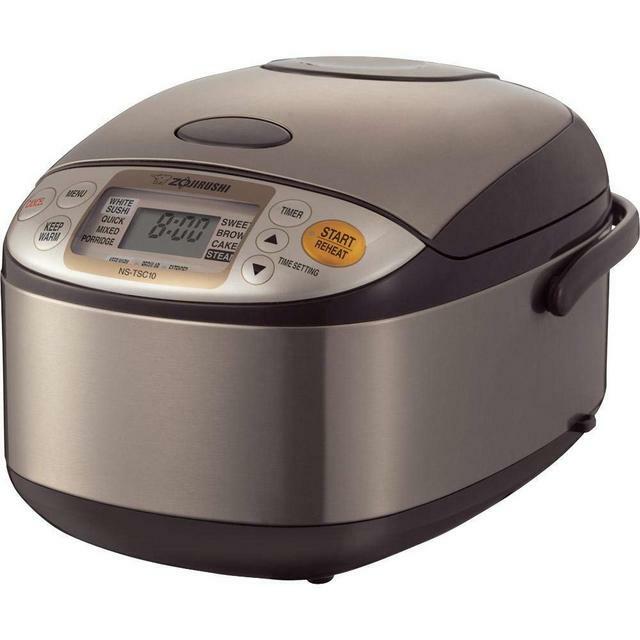 My Instant Pot gives 12 minutes high pressure when you press the rice button. I checked it again. On my IP the rice button is 12 minutes on low, not 9 as I stated above, and not on high pressure like your machine. Different models must use different programs. I think it's more likely that I'm wrong about the pressure. I'll check the next time I make rice. edit: Found a complete list that links you to all of the models; have substituted it for the one I posted initially. edit2: For my unit, the Ultra, it says that the Rice setting is only for white rice. Yes, for brown rice, I use manual for 20 minutes. How does it know how much is in the pot? As I suspected, I was wrong about the pressure setting. The IP rice setting is, as Steve said, 12 minutes on low.